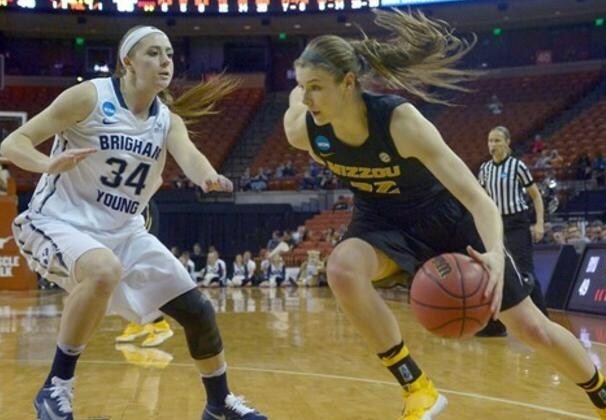 Mizzou (22-9) shot 57 percent from the field as the 10th-seeded Tigers defeated seventh-seed BYU (26-7) 78-69, Saturday evening in the first round of the NCAA Tournament at the University of Texas at Austin. Sophie Cunningham (Columbia, Mo.) led the Tigers with 20 points, five rebounds and three steals while Jordan Frericks (Quincy, Ill.) added 19 points and a game-high nine rebounds. The Tigers shot 57 percent from the field, their highest ever in NCAA Tournament game. Head coach Robin Pingeton earned her first career NCAA Tournament victory as a head coach. She is 1-2 all-time in the NCAA Tournament after previously leading Illinois State to two appearances. The Tigers improved to 5-9 all-time in the NCAA Tournament. Mizzou will face second-seeded Texas on Monday at 8:15.